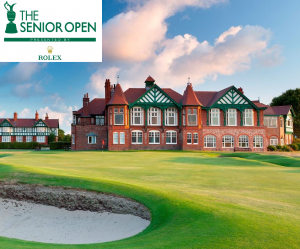 Royal Lytham & St Annes Golf Club will host The Senior Open Presented by Rolex for the first time in 25 years when the Championship returns there in 2019. In a joint announcement, The R&A and European Tour confirmed that Royal Lytham & St Annes will host the 33rd edition of the Championship from 25-28 July 2019. The Senior Open was last held at Royal Lytham & St Annes in 1994 after hosting the Championship for four consecutive years. Three-time Senior Major Champion Tom Lehman won The Open at Royal Lytham & St Annes in 1996, finishing two strokes ahead of Ernie Els and Mark McCumber and three strokes ahead of Sir Nick Faldo. The 2016 European Ryder Cup Captain Darren Clarke, who turns 50 in August 2018, and fellow former Major Champions Michael Campbell, Paul Lawrie and Retief Goosen will be in line to make their Senior Open debuts as they turn 50 in 2019. Former Ryder Cup Captain Bernhard Langer made history at The 2017 Senior Open, when he became the first person in history to win ten Senior Major Championships, securing his third Senior Claret Jug at Royal Porthcawl.